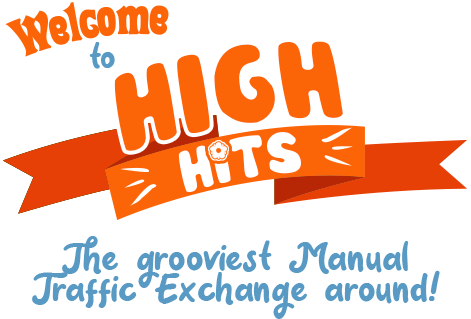 High-Hits is a free manual Traffic Exchange. You receive hits to your sites in return for visiting other members' sites. It is owned by one of the top organizations in the Traffic Exchange industry -- The Traffic Insider Network. Using our collective years of experience in the TE World we aim to take High-Hits from good to great. We invite you to be a part of it! Just sign up for Free to get started. Once inside the members area begin surfing by clicking the Surf button. Spend at least 6 seconds on each site to receive credits. Every 1 credit you earn is worth 1 visitor to your site. High-Hits is designed to work for both free members and upgraded members. The fast timer will enable you to surf smoothly and earn many credits. If you are an active surfer you can earn lots of traffic with a free account. If you have less time to surf or just need more credits there are 2 upgrade options to suit your needs. You can also buy any extra credits you need even if you choose not to Upgrade at this time.